Rousas John Rushdoony examines modern philosophy's many attempts to explain man and his thought process apart from God, his Revelation, or man's sin. Modern philosophy has sought to explain man and his thought process without acknowledging God, his Revelation, or man's sin. God holds all such efforts in derision and subjects their authors and adherents to futility. Philosophers who rebel against God are compelled to abandon meaning itself, for they possess neither the tools nor the place to anchor it. 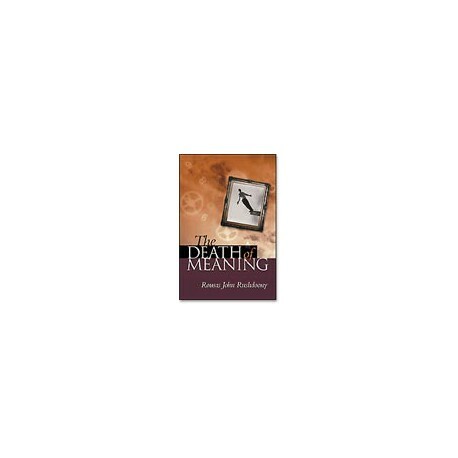 The author clearly enunciates each major philosopher's position and its implications, identifies the intellectual and moral consequences of each school of thought, and traces the dead-end to which each naturally leads. This penetrating yet brief volume provides clear guidance, even for laymen unfamiliar with philosophy. Rushdoony effectively prosecutes anew the indictment of Jeremiah 2:13: "For my people have committed two evils: they have forsaken Me the fountain of living waters, and hewed them out cisterns, broken cisterns, that can hold no water."